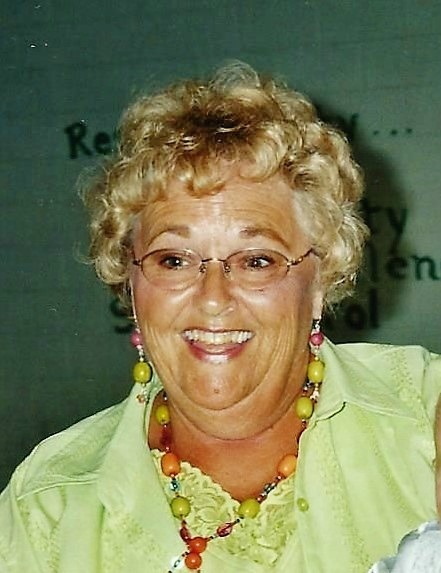 Sue Hoffman, 78, of Mesa, Arizona, passed away peacefully on Saturday afternoon, June 11, 2016 in the presence and comfort of her loving family. She was the daughter of Arthur Marchant and Gertrude and Wes Anderson of Toledo, Ohio. Sue is survived by her loving husband, Bill Hoffman, of 58 years of marriage, her children, grandchildren and great grandchild. The love of her family was the center of her being and greatness. Her expressed kindness and affection to others will be held in the hearts of everyone who knew her. Sue was a cheerleader and graduate of Whitmer High School in Toledo, Ohio and a resident of Temperance, Michigan for over 40 years. She was a retired school bus driver with the Bedford Public Schools for 29 years and an active member of the Temperance-Bedford community and a charter member of Our Lady of Mount Carmel Catholic Church. Following retirement, Sue and Bill moved to Mesa, Arizona to live closer to their children and grandchildren. While in retirement, Sue participated in several women’s clubs and neighborhood organizations. She was a board member of the Sunland Village Women’s Club, an active swimmer and a contributor to the community newsletter. Her love of family, friends and pets will be a lasting memory of this very beautiful and dear woman, wife and mother. Her time with us was a true blessing and gift. Visitation will be held at Bunker Funeral Home, 3529 E. University Drive, Mesa, Arizona 85213 on June 16, 2016 from 6 to 8 PM. A funeral mass will be celebrated at Holy Cross Catholic Church, 1244 S. Power Road, Mesa, Arizona 85206 on June 17, 2016 at 11 AM. In lieu of flowers, contributions can be made to the Arizona Humane Society. Sue was a true blessing in everyone’s life that she came in contact with a true friend that I will always cherish our memories for as long as I live. Sue had a great sense of humor and loved to have fun. I will love you you and now your an angel in heaven looking down at all of us. PROBABLY LAUGHING AND SAYING OH YOU GUYS ARE OK AND SMILING. Bill, Mark and the Hoffman family – our heartfelt condolences on the loss of Sue. She will never be forgotten, and our thoughts are with you during this difficult time.